Play-in matches result in big wins for Turkish and Brazilian teams. The 2017 Mid-Season Invitational is underway in Brazil, and so far, the home crowd has had plenty to cheer about. 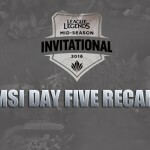 Over 500,000 viewers around the world tuned in to see who would begin the 2017 Mid-Season Invitational at the top of the group and Brazil’s RED Canids are close to the summit. 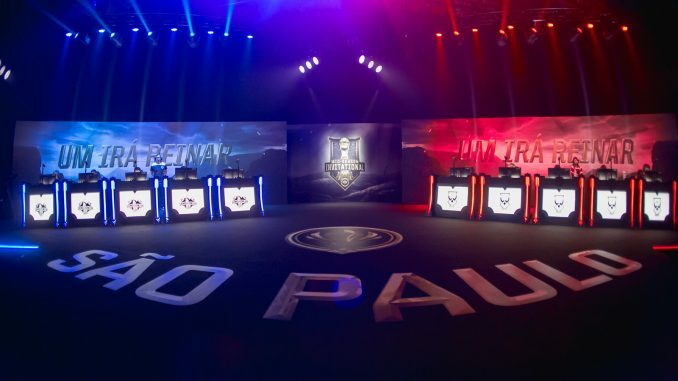 Canids and Turkey’s BAU SuperMassive both began the day with two wins, but in the sixth and final game of the day, SuperMassive trounced the Brazilian team on their home soil to end the day 3-0 and in 1st place. 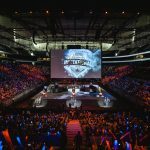 The day began with RED Canids taking on OPL champion LG Dire Wolves, and the Canids looked confident and focused in front of their home fans. Leonardo “Robo” Souza had a fantastic performance, including a 4-0-7 stat line and an impressive multi-man Jarvan IV Cataclysm near Baron Nashor. The Canids secured the Baron and used the buff to take down the Dire Wolves’ base and started the day with a win. Turkish BAU SuperMassive took on the Japanese LJL champion Rampage in the second match of the day. Rampage jumped out to a 5-0 kill lead by 15 minutes, with star jungler Lee “Tussle” Moon-Yong making key ganks in the top lane while leading SuperMassive jungler Furkan “Stromaged” Güngör by 80 minions. Undeterred, SuperMassive continued to pick fights and win skirmishes around the map. 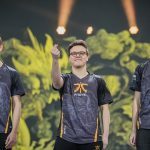 After failed attempt at a Baron steal by Tussle, SuperMassive took baron-empowered minions down the mid-lane and dismantled Rampage’s base to start their day with a win. Rampage continued to struggle in their next match versus the RED Canids. The Canids jumped up to an early lead, but Rampage caught mid-laner Gabriel “Tockers” Claumann out of position, then rotated for a decisive Baron call. The Canids attempted to contest, but Rampage punished them with three kills and secured the Baron Nashor buff. Rampage began to push into the RED Canid base, looking to end the game, but their health bars were simply too low. Robo decimated the Rampage lineup for a triple kill, and the Canids quickly rotated to Baron. Now armed with their own Baron Nashor buff, the Canids flattened Rampage’s base and moved up to 2-0 for the day. 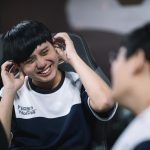 LG Dire Wolves struck first with a surprising 3-man gank in mid to take First Blood within the first seven minutes of the game. Unfortunately for Dire Wolves, this would be the only thing to go right for them during the match. SuperMassive dominated the team fights before going for a risky Baron Nashor call 22 minutes into the game. The Dire Wolves could not make the steal, and SuperMassive pushed down the mid lane to end the game in a quick 26-minutes and move to 2-0 for the day. Rampage’s star jungler Tussle was once again a force in the early game on Lee Sin. Rampage started off with a 3-0 kill lead, with all three kills secured by Tussle. But once again, Rampage was made to pay for their good fortune, as almost immediately the Wolves turned four kills in their favor in a two-minute span. Rampage spotted the Wolves making a dubious Baron call, and begin to position for a steal, but Wolves’ jungler Shern “Shernfire” Tai used a beautiful Gragas Body Slam to keep Tussle from being able to enter the pit, and the Dire Wolves secured the objective easily. Now armed with Baron-empowered minions, the Dire Wolves destroyed the Rampage nexus 28 minutes into the game, finishing day one 1-2 and leaving Rampage winless for the day. Both RED Canids and BAU Supermassive reached the sixth and final game of the day undefeated at 2-0, so most viewers expected a fairly close game between the two teams, but unfortunately for the Canids, this was not the case. 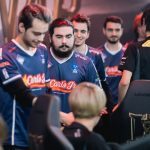 SuperMassive grabbed hold of the game early thanks to ganks by mid-laner Koray “Naru” Bıçak and jungler Furkan “Stromaged” Güngör and never let that lead go. Fan-favorite RED Canid Felipe “brTT” Gonçalves was caught out of position repeatedly and looked visibly frustrated throughout the game. The gold lead grew to an insurmountable 10k for SuperMassive, allowing them to easily deconstruct the RED Canid nexus and end the day with three wins and topping Group A. The MSI Play-In Stage continues Saturday with Group B at 3:00pm BRT. Virtus.pro will face Lyon Gaming in the day’s first match. Photo courtesy of Riot Games.